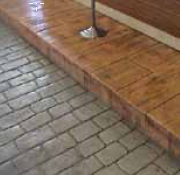 Bomanite – the original cast-in-place, colored and imprinted architectural concrete paving. 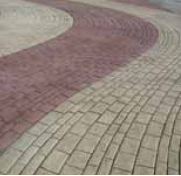 This product provides an imprinted pattern that has a smooth surface between the joint lines. The imprinting tools produce patterns in the surface of the concrete in much the same way as a cookie cutter cuts patterns in cookie dough. Simulates most smooth tiles, new brick and certain stone materials. 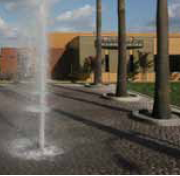 Bomacron – A textured version of the original, this product is also cast-in-place, colored and imprinted, but provides the added dimension of texture and relief between the joint lines. 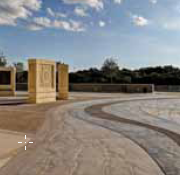 Simulates a wide variety of natural materials including slate, granite, limestone, sandstone, wood and cobblestone. 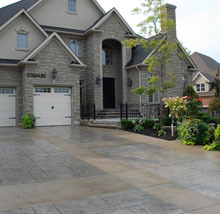 Bomanite Imprint Systems are used in a wide variety of residential, commercial and municipal applications where the designer wants to upgrade plain concrete or asphalt, or alternatively, wants to reduce the cost of installing natural paving materials such as slate or granite. 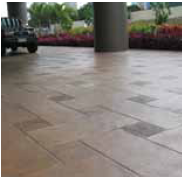 Begin designing your outdoor space or interior floor project by choosing an imprint pattern to fit your needs. 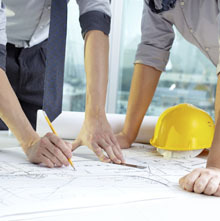 When it comes to concrete, from commercial, residential to municipal projects, Bomanite has got you covered, and only Bomanite licensed professionals can offer..